Having 2 eyes is not that impressive in animal kingdom for some of the animals have more than two eyes. These animals have multiple eyes that make them see better in order to catch preys better. What else? Those eyes also help them see the predators that want to attack them from various angles as well. Can you imagine you can see everything around you without moving your head? That is how cool these animals are. From animals with a few eyes to a hundred, we have 10 of them today. Take a look and see which animal has a lot of eyes. Tuatara is a reptile that is known as a living fossils since many of theirs relative are already extinct with the dinosaurs. You can find them in New Zealand, and a tuatara has 3 eyes. The third eye of the tuatara is on top of its head, but it is not for vision. After they hatched, the eyes will be covered in scales and pigments about 6 months later. Even if the eye has retina, lens, cornea, and nerves, tuatara really doesn’t use it. You might think a praying mantis has only 2 gorgeous eyes, but think again. Actually, a praying mantis has 5 eyes. 2 big compound eyes that you can see, and 3 other tiny eyes in the middle of their head. The big eyes are for detecting movement, while the other 3 are for detecting light. Opabinia is already extinct since last decade. However, this creature also had more than 2 eyes, they had 5 eyes in total. Usually, a starfish has an eye on each end of its arm. Not every starfish has 5 arms anyway, some of them have up to 8 or even more. That means the number of eyes of the starfish is varies depends on the number of their arms. How they use it or how they see still remain question nowadays. A horseshoe crab has 2 compound eyes that you can see of each side of its shell. There are also 3 other eyes on the shell, plus 2 more eyes in the front near their mouth. And, it’s not done yet. They also have eyes on their tails, so totally, a horseshoe crab has 10 eyes. Yes, 10 eyes! Varies in species, some spiders have as many as 12 eyes, while most of them have 8 eyes. However, there are also some spiders that have no eyes at all. Those with eyes, only the pair in the front is capable of detecting directions. The other pairs of eyes of the spiders can only detect light. Scorpions are arachnids just like spiders, so they also have more than 2 eyes. Usually, you can see 2 eyes on top of a scorpion’s head. There are also 5 more eyes long each side of their body as well. So totally, a scorpion can have up to 10-12 eyes. This is the nightmare of the sea, and it has 24 eyes in total. A box jellyfish has 20 simple eyes that can only detect light and dark. There are also 4 more eyes that form images, so yeah, a box jellyfish 24 eyes. You may have eaten countless scallops before now, and you might think they don’t have eyes. But actually they do have eyes, and so many more than you could have ever expected. 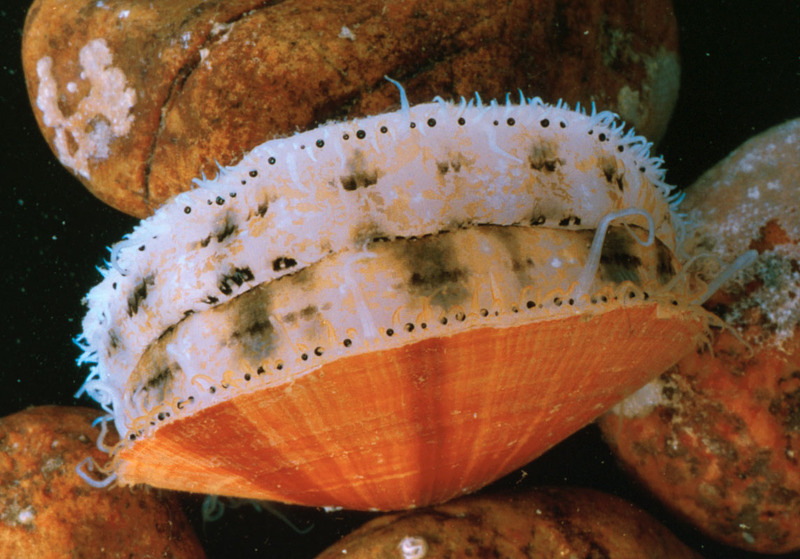 One scallop can have between 50 and 100 eyes, arranged along the edge of their mantle. As you can see, these eyes are very important because they let them know if there are threats approaching. Have you ever heard of a chiton before? This creature has eyes of amazing rock crystal on the back of their shell. And you know, there are hundreds of them. A single chiton can have up to 1000 tiny eyes on their shell. Probably, this is the animals with the most eyes in the world since no one can top that.